Samwise was in nursery this morning and Frodo is back tomorrow. Yay. Hopefully I can get back to the writing schedule that saw me through November. I’ve been trying to write about 1000 words a day… and I’ve managed that so far since Thursday – though Saturday didn’t really happen as we were in Nottingham. So while the hobbits fight over Thunderbird 2 (they can fight over anything *sigh*) I get to update my blog. Lost Gods hit the 10 000 word mark this morning. 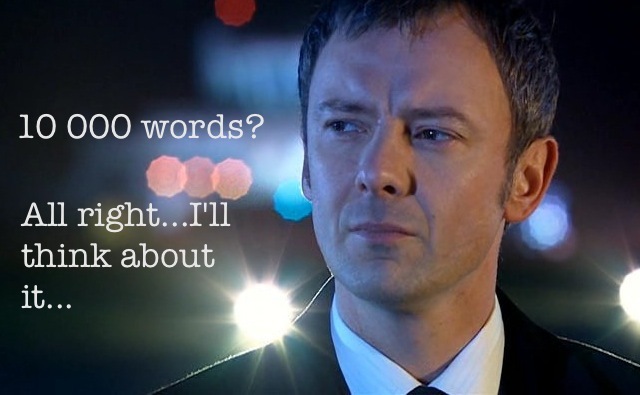 I still have more to write as it’s only about 500 words of my total, but I need the incentive. So, I ‘ve given myself a reward. Do you make me a reward cause I finished snake?